You'll be £19.99 closer to your next £10.00 credit when you purchase Meteor from the Cockpit. What's this? The Meteor is remembered as the first British jet fighter to enter squadron service and the only jet powered Allied fighter to see action in WW II. Subsequent development was limited as a result of its relatively conventional airframe although it did hold the world air speed record for a while. The Meteor was immensely strong and many pilots owe their lives to its rugged construction. For a whole generation of pilots the aircraft (the Meatbox as it was affectionately known) provided the ideal introduction to jet-powered flight. It did suffer a high accident rate but many of the losses were due to lack of knowledge of the stresses of high speed flight at low level and a misguided training programme. 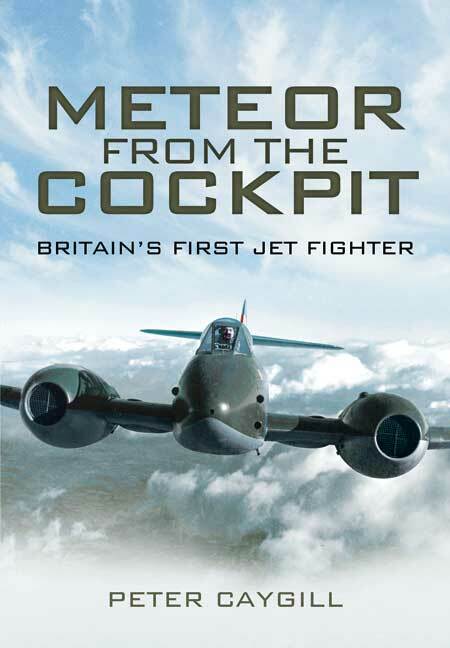 More than sixty years after its first flight the Meteor lives on as it still used by Martin Baker to test ejection seats, testimony to the basic soundness of the design.This book looks into the aircraft s design history, development through many different variants and includes many first-hand accounts of flying the aircraft in peace and war. The Meteor was the first British jet fighter ad to may all jet fighters that followed were developments of it. It has stuck in the memory of thousands of aircraft spotters who can recall hearing the burbling sound and seeing the strange shape. In the reviewer's case it was at low altitude over Morningside, Edinburgh. Thinking 'Meteor' was not logical since it was still on the Secret List. But word had spread and we all knew what it was. Over many years we watched it develop into the main first-line RAF fighter and production spread to the Low Counties. Others were exported. The Meteor was not faultless in flight. Tails came off, engines blew up. It was a new class of aircraft and the training pattern was itself in a state of development. Pilots learned from their mistakes or the accident investigation teams found what had happened from the wreckage. The Meteor developed into a variety of roles. Cameras gave the RAF fast reconnaissance versions replaced the Spitfires. The fuselage stretched to take an extra crewman in the night fighter version and in the T.7 hundreds of pilots learned how to transition to the single-seat fighter version. The Meteor F.8 went into action with the Royal Australian Air Force in Korea. This book recounts a lot of the experiences of Meteor pilots. There were many incidents to be recounted and a fairly large number of fatal accidents. The tables of Meteors running currently in Aeromilitaria will show how many there were as they include the repairable ones and the rude mechanicals were busy for ten years straightening out a flow of bent airframes. Fortunately, the Welland and Derwent engines lasted a lot longer than their German equivalents and were exported to power the first US jet fighters. Nostalgia reading for those who lived through this era.